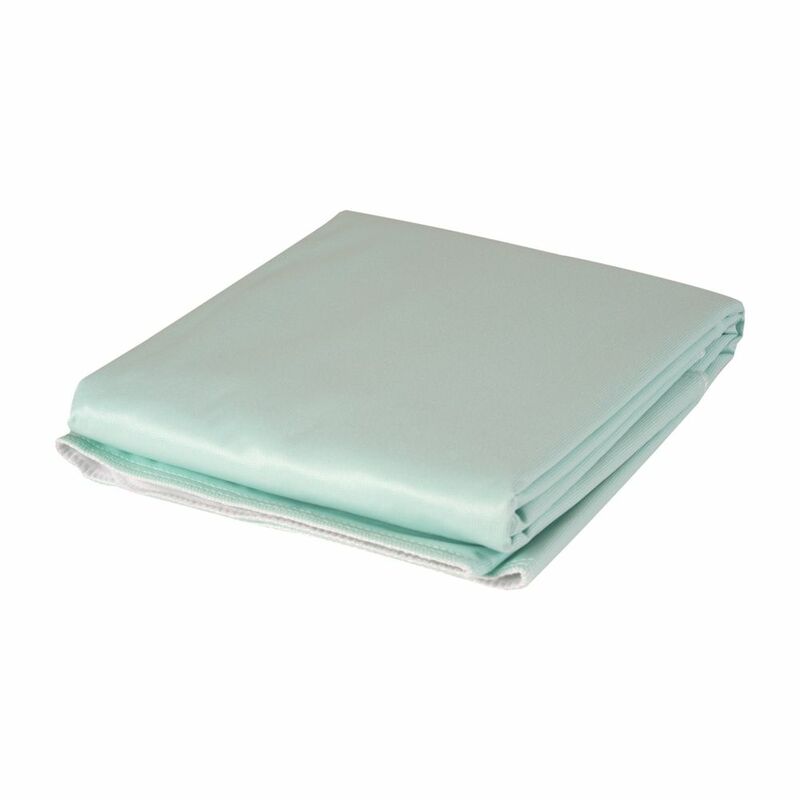 This soft quilted sheet, mattress and furniture protector under pad helps protect bedding, furniture and wheelchairs from moisture. It's great to use to protect children's beds while potty training or to protect furniture from pet accidents. It's also ideal for protecting the beds of incontinent patients. The soft quilted side feels comfortable and keeps moisture away from the skin while the waterproof bottom layer helps prevent leakage. The 100 percent brushed polyester top layer keeps moisture away from the skin, meaning you stay dry. Oversized top layer prevents the pad from rolling. Waterproof Furniture and Bed Protector Pad This soft quilted sheet, mattress and furniture protector under pad helps protect bedding, furniture and wheelchairs from moisture. It's great to use to protect children's beds while potty training or to protect furniture from pet accidents. It's also ideal for protecting the beds of incontinent patients. The soft quilted side feels comfortable and keeps moisture away from the skin while the waterproof bottom layer helps prevent leakage.